The podcast medium has been growing steadily over the last few years. There are currently 67 million monthly podcast listeners in the U.S., up 21 percent from last year’s 57 million. According to an Interactive Advertising Bureau (IAB) study, in 2015 podcast advertising revenues came in at $69 million. By 2016, they were $119 million. The industry is expected to top $220 million by the end of 2017. Quah recently reviewed the top six developments and trends in podcasting this year. Apple’s in-episode analytics, announced in June, will soon offer publishers actual listening data as well as download data. Quah calls this “the most significant development to hit the podcast industry” since Apple consolidated the ecosystem (first in iTunes, then in a standalone app, and now packaged with iOS). Podcast programming is being increasingly adapted to other media like film and television. The “Man of the People” episode of Reply All has been optioned for a feature film. Gimlet Media is looking to bring Homecoming and StartUp to TV, and cable networks HBO and USA are eyeing WNYC’s 2 Dope Queens and Night Vale Presents’ Alice Isn’t Dead, respectively. This provides a new revenue stream and audience development. 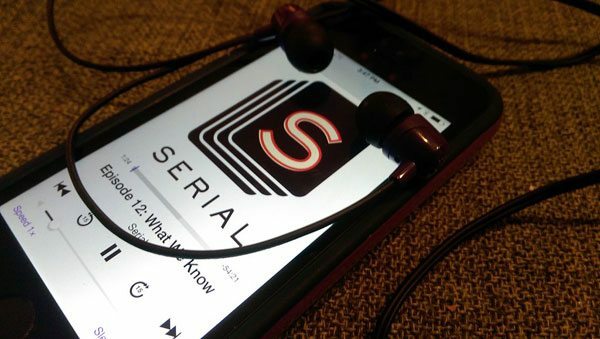 There’s been a rise in “windowing.” That’s where a podcast publisher will offer an early preview of a series or episode on a private partner platform like Spotify or Stitcher before the public open release. The post Why Podcasting Might Be of Interest to Your Nonprofit appeared first on Non Profit News For Nonprofit Organizations | Nonprofit Quarterly. NTEN’s CEO, Amy Sample Ward, and Randy covered a lot of topics in this week’s podcast. Amy referenced her blog, where she writes about the ever-changing world of social media, engagement and the nonprofit sector in relation to generations. It’s no secret that nonprofit branding is important to the success of your organization, but Amy had some different ideas on whether or not it’s the right thing to focus on. So what now? Is it like that awkward first date we’ve all been on? Yes, they like you, but what do you do about it? Cue: social media! Disseminating information about your causes and the organization. Building community and engaging with different stakeholders. Mobilizing actions like donations and volunteer work. Social media is the perfect platform for getting your information out there! If your community follows you on Facebook, Twitter, Instagram, etc., then they will see it. It’s less invasive than an email, plus you can send more than one without being too overbearing. By doing this, you are inadvertently building your community. Now you have to direct your posts toward stakeholders. Do this by creating a strong call to action that will communicate your cause to them. Social media is great for actions, too. Asking for donations and volunteers is easy because it’s so widespread. You’re reaching people you’ve never met without doing a lot of heavy lifting! Not sure you believe how easy it is? Don’t worry! You’ll get the hang of it. And when you do, post on social media and tag us with what you’ve learned in the podcast. Use the hashtag #nphubpodcastlearning to see what others are saying and start building your community! You can subscribe to the Hubcast on iTunes and Soundcloud to make sure you don’t miss out on our latest podcast. The post [PODCAST] The Ins and Outs of Community Engagement | Ft. Amy Sample Ward appeared first on Nonprofit Hub. #GivingTuesday is approaching fast and we want nonprofits to be prepared. Here are some things you can do right now for free to up your online fundraising. The post 5 Free Ways to Amp Up Your Online Fundraising for #GivingTuesday appeared first on Nonprofit Hub. The podcast medium has been growing steadily over the last few years. Hot Pod’s Nicholas Quah reviews this year’s trends. Should your organization be podcasting?